The current exhibition at the Royal Academy has had extensive coverage, much of it mildly negative as to the choices made by the curators of the show, Dr Penelope Curtis and Keith Wilson. I have been to the show a number of times and I have also attended two lectures given by the curators in which they sought to explain their approach. They explained that this was not intended to be a comprehensive show covering the development of British sculpture for the last 100 or so years. Instead, it was in the nature of a dialectical exercise in which pieces were supposed to “speak to each other” by being juxtaposed and thereby somehow giving off to the viewers a series of meanings. Developing points by putting up propositions and contrasting them with alternative interpretations is, of course, a well known exegetical method. Does it work in this case? For it to work in the context of works of sculpture, this method has to rely heavily on the quality of the curators’ choices about which pieces to use and which points to expose. We know that in a limited physical space, the sculptural output of every significant British sculptor over the last 100 years could not possibly have been included. Even to include one piece from each sculptor would have misled an audience, as the work of most sculptors cannot be illustrated with only one piece. Therefore some degree of choice was inevitable, whatever the basis of approach. As the curators admit, they have been very light indeed on the 1950s, which commentators tend to regard as a key period of British sculpture and indeed of British art generally as it transitioned from its pre-War preoccupations towards the impending challenges of the post-War period. Here we sort of leapfrog the 1950s, which is unfortunate. The result is all very bewildering. Most people visiting an exhibition of this type will not have an expertise in sculpture which enables them to fill in the gaps or to realise the sophistication of the “arguments” that are supposed to be taking place between the pieces; they will need guidance about the status and importance of the works they are seeing. Many of the works, particularly in the earlier part of the show, are undoubtedly significant, but there are a few shockers. Nobody I have read has defended the use of a recreation of Kurt Schwitters’ barn in the RA forecourt and it would be hard to get the exhibition off to a worse start than having the somewhat ridiculous scale model of the Cenotaph in the first room. The ceramics are also surely not worth the room they occupy, however beautiful they are in their own right. So the successes are the obvious things which audiences tend to like in any event, such as the pieces by Hepworth and Moore and the room comparing the pieces from the British Museum with the 20th century works. Many people seem to have said that they like the show up to the Anthony Caro, but thereafter it dwindles into incomprehensibility. This is undoubtedly the case. One issue may be the use of an artist curator. To my mind, artists may not be the best curators of large wide-ranging shows, because they tend not to have a great deal of objectively based historical knowledge or generosity towards the work of other artists. They can have even more blind spots than art historians. Almost by definition, they may approach the history of art subjectively and, therefore, unfairly. I have no particular knowledge of Keith Wilson or of the influence he had on the selection of the pieces, but I assume he was particularly relevant to the choice of the objects in the later rooms. Many of these pieces are not easy for a modern audience to appreciate and needed careful curatorial guidance to get them there. This is missing. 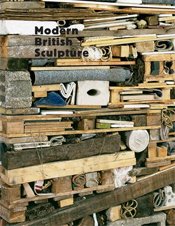 In any event, coming so soon after the large Henry Moore exhibition at Tate Britain, this is an important attempt to engage with the public about the achievements of British sculpture in the 20th century and, at least up to Caro, it may well have succeeded in that. To get anything out of it after Caro, one would need to have a great deal of expert knowledge of what sculpture has come to mean in modern artistic circles; it must simply be the case that most viewers will not have that knowledge, either going into the exhibition or, unfortunately, coming out of it.